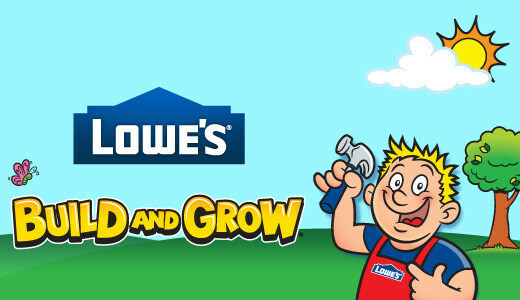 At 10:00 a.m. on Saturday, December 3, 2016, bring the kids to participating Lowe’s locations to make Christmas Ornaments during the Build & Grow Workshop. You’ll need to register online in advance to attend. Register for a Clinic below to build a wooden project and get a free apron, goggles, and patch! From 9:00 a.m.-noon on Saturday, December 3, 2016, bring the kids to participating Home Depot locations to build a Gingerbread Man Candy Dish during the free Kids’ Workshop. Register online to save your spot. Join a hands-on workshop and you and your child can create a beautiful Gingerbread Candy Dish. Once the candy holder is built, your child can decorate it with stickers to give their gingerbread mana cheery holiday smile. All kids get to keep their craft, receive a FREE certificate of achievement, a Workshop Apron, and a commemorative pin while supplies last.Children must be present at the store to participate in the workshop and receive the kit, apron and pin.